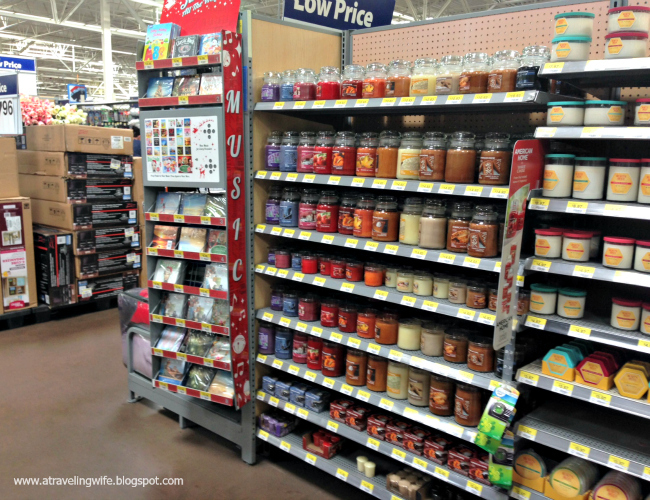 If I were to pick one fragrance that reminds me of all things holidays, it would have to be cinnamon. 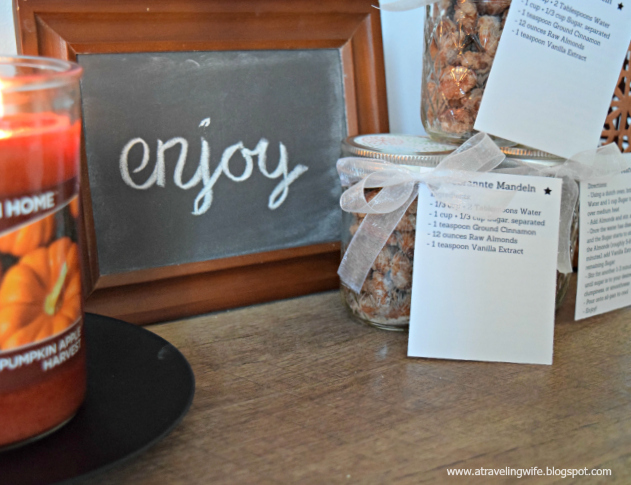 The sweet and spicy aroma makes me think of Fall, cooler temperatures, cookies, and presents. Anyone else with me? By now, you can't walk into a store without smelling the delicious cinnamon spiced pine cones or candles to remind you of your greatest childhood memories. And I'm not going to complain about that one bit. But this does get me thinking about all the holiday festivities I am attending this year. 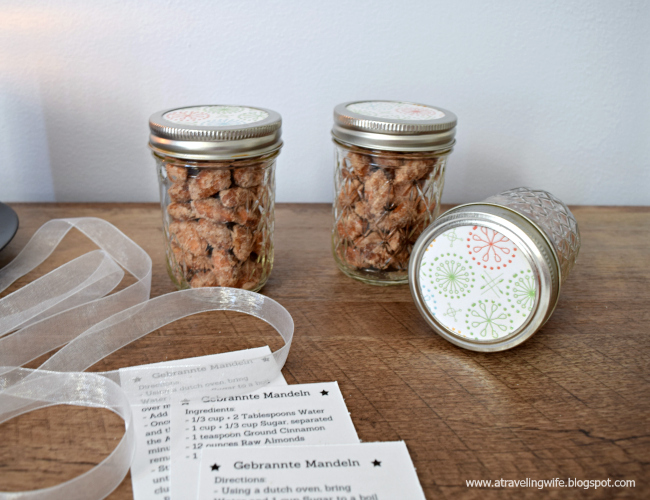 I never want to show up empty handed so this year I am making a large batch of Gebrannte Mandeln, or burnt almonds, packaging them in mason jars and they are ready to grab as I run out the door. Pair that with an American Home™ by Yankee Candle® brand collection candle from Walmart and you have the perfect hostess gift. 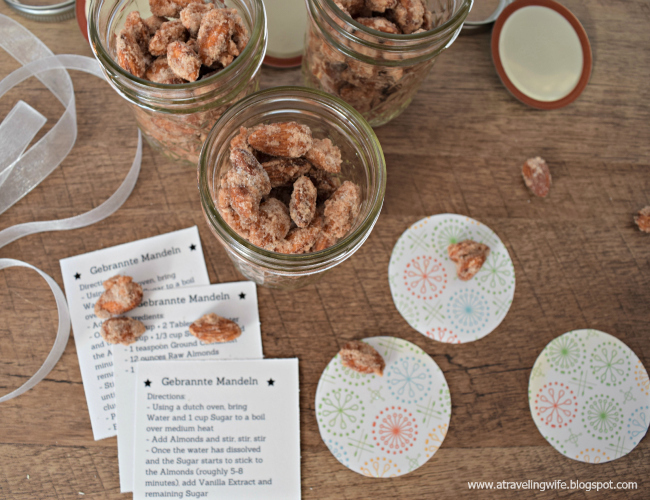 Gebrannte mandeln are almonds coated in a browned, crunchy sugar - a well know treat in Spain and Germany. They remind me so much of the holidays from when I traveled to Germany a few years ago during the month of December. Plus when you are cooking these, your house will be filled with this overwhelming aroma of deliciousness. It's intoxicating! 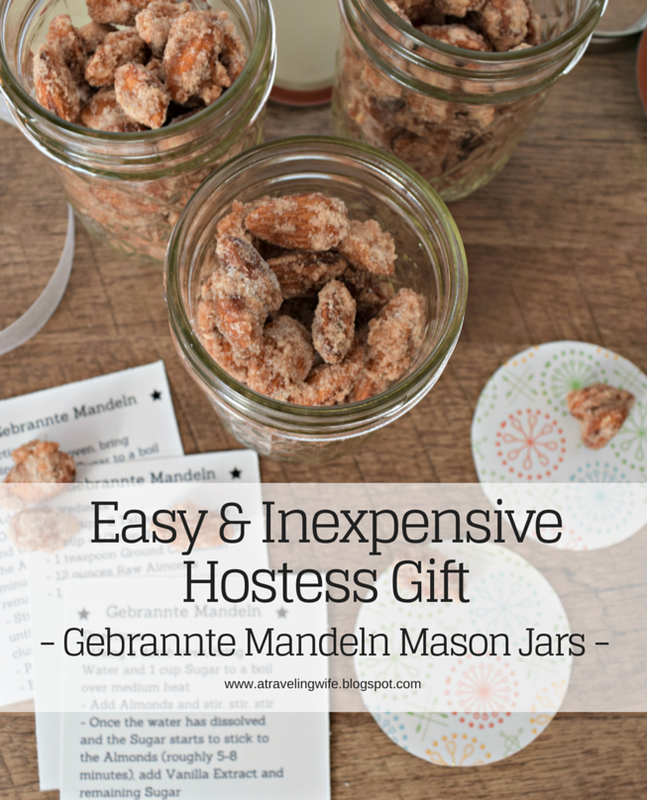 To make these perfect hostess gifts, you'll want to make a few batches of gebrannte mandeln. You can find the recipe below, but I must say the burnt almonds can be a little tricky at first. Just have patience and keep the first batch for yourself if it doesn't turn out perfectly. I call that a win-win. 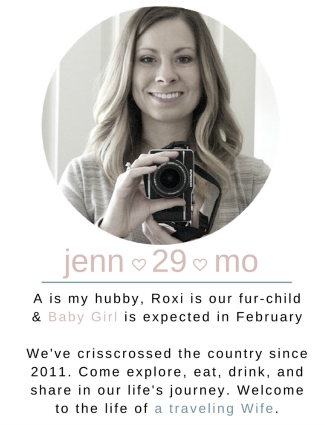 Then you can decide if you want to include the recipe for your recipient. I just printed out the ingredients on one side of cardstock and the directions on the other side. I think it adds a nice personalized touch to the gift. 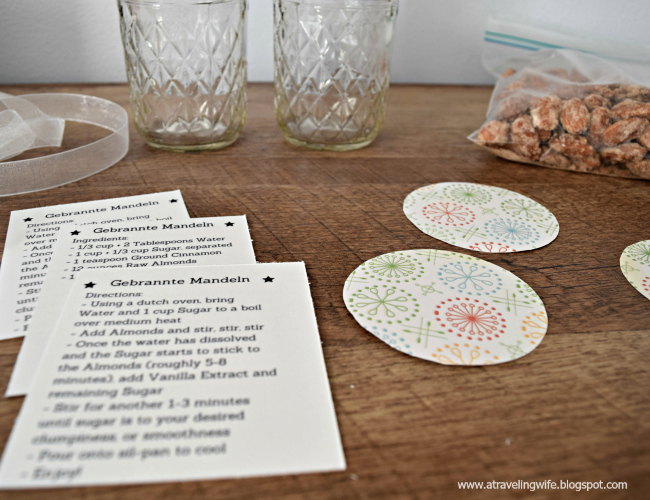 I also used the lid of my mason jar to trace a circle on festive cardstock. This way the jars are a little more unique. And, ribbon. Don't forget the ribbon. Ribbon can be used to decorate the jar or it can be used to attach the recipe card. Let your creativeness go wild. 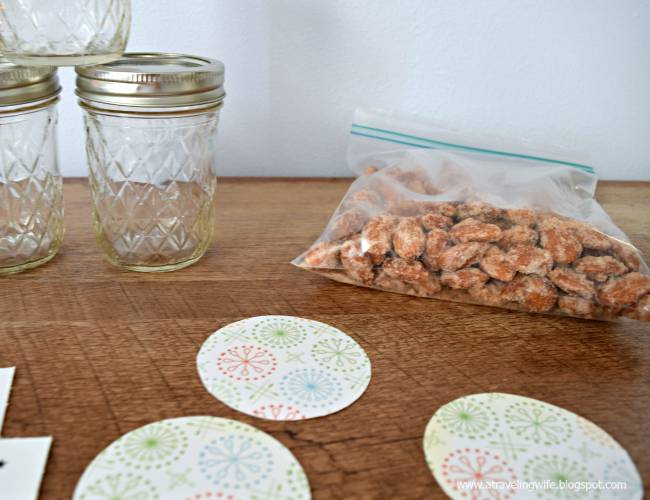 Combine everything together and you have a super simple, homemade hostess gift. And these can be set aside for the entire month of November and December so you never have to worry about showing up to a party empty handed. Don't forget the candle. Click to tweet: Don't show up to your next party empty handed. Bring this instead. The American Home™ by Yankee Candle® brand collection at Walmart is a wonderful selection for perfectly seasonal candles. 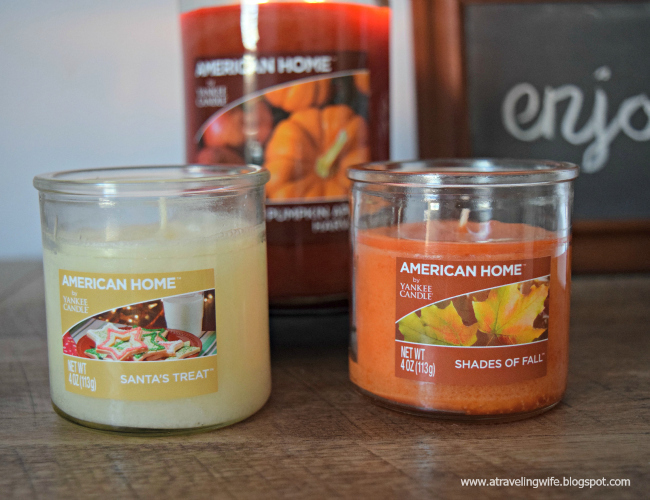 I think Santa's Treat™ and Shades of Fall™ are two great options and an inexpensive addition to your homemade gift. 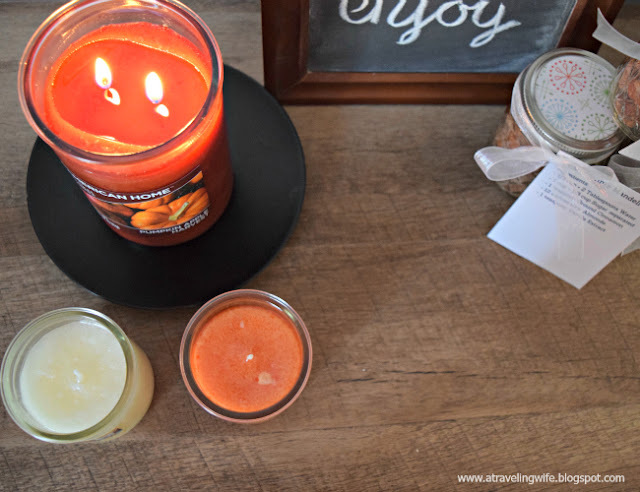 Santa's Treat™ smells rich and buttery, just like sugar cookies and Shades of Fall™ has fragrances of juniper and amber, just like the smell of Fall. Let's get to partying - grab your gebrannte mandeln and candle, and get on your way. What is your favorite gift to bring to parties? What is one of your favorite hostess gifts to receive? 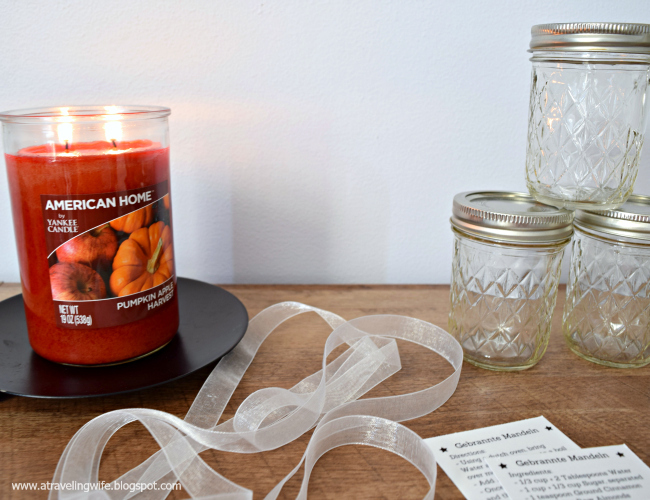 What is your favorite fragrances from the American Home™ by Yankee Candle® brand collection?